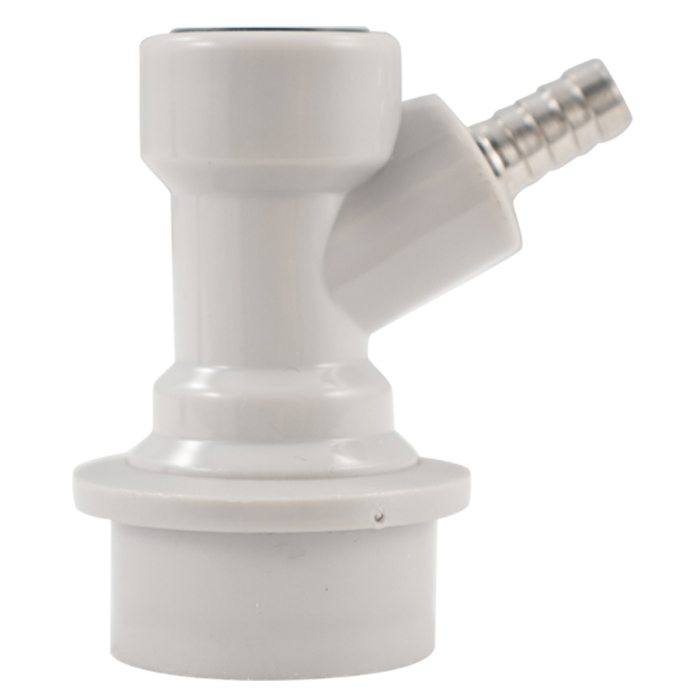 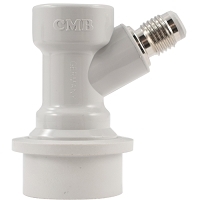 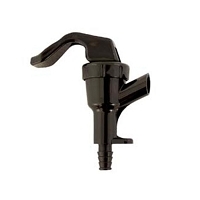 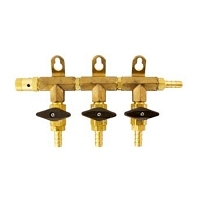 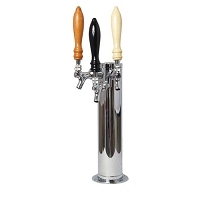 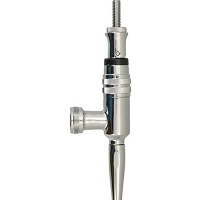 This white, gas-in quick disconnect comes with a barb for attaching to a beverage line, and its high quality construction creates a sturdy seal that won’t leak gas when in use. 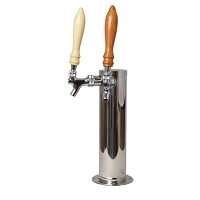 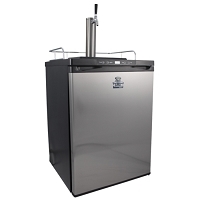 The barb measures 1/4 inch, so it is compatible with either 1/4 inch or 5/16 inch beverage tubing. 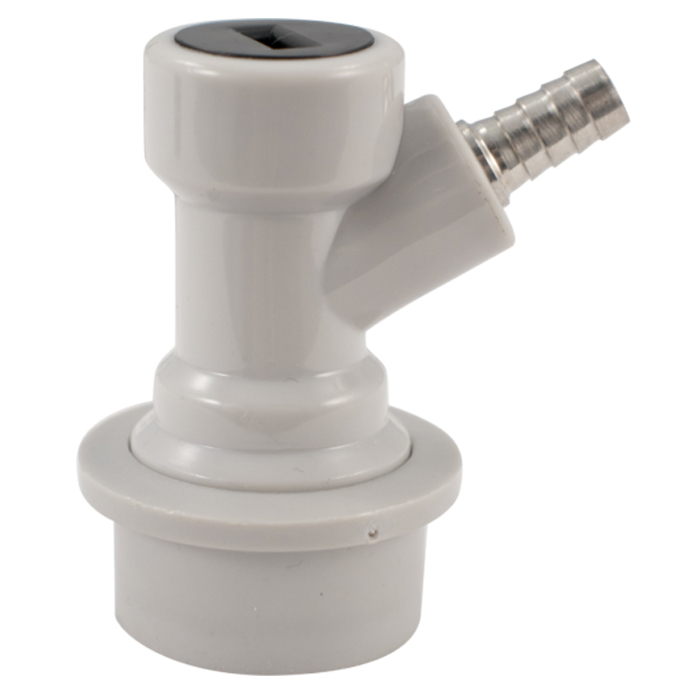 Note: Sometimes ball lock fittings can be difficult to get fully seated on a Cornelius keg. 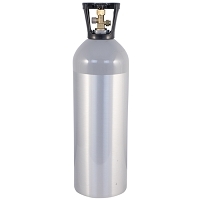 We recommend using a quick spray of sanitizer solution to act as a lubricant and giving it a few twists while applying the ball lock.